A series of irregular shaped resin beads create the Frosted Long Necklace. 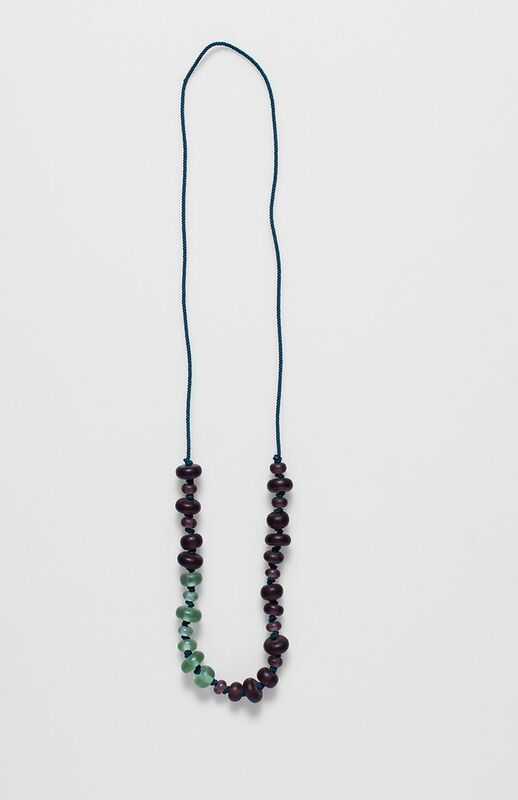 A feature set of beads in contrasting colours adds interest and the coloured cord draws your eyes to the piece. This necklace shines when worn with clothing in similar hues.